Health Care Industry Research Papers explore an example of an order of a research paper on the health care industry with focus on the global segment, competitive forces, and alliances. Health Care Industry research paper due and don’t know how to start it? How about like this? Industry analysis of the health care: pharmaceutical industry. Needs to be 8 pages with 4 or 5 references. One of the references needs to be standard and poors netadvantage. DO NOT number the pages or add headers or footers. The paper on Health Care Industry Research Paper will be separated by 4 sections which are labeled and should answer the following questions. 1. What are some of the important political events that would have an impact on this industry? 3. What actions have been undertaken by major competitors in the last three years that has upset the global dynamics of the industry? 4. What actions could be undertaken by major competitors in the next three years that could have a huge impact on the global dynamics of the industry. 1. Rivalry among competing firms: what is the level of intensity of competition amongst the firms in the industry? If the intensity is high/low then what are its implications? 2. Potential entry of new competitors: Can new firms easily enter the industry? What are the barriers to entry in this industry? 3. Substitute products: How do you perceive the threat of substitute products? Will these substitute products change the rules of the game in this industry? 4. Bargaining power of suppliers: How significant is the power of suppliers in this industry. 5. Bargaining power of customers: How significant is the power of customers in this industry? 6. How will the five forces (identified above) collectively effect the dynamics of the industry? 1. What is the role of mergers and acquisitions in your industry? 2. Identify some of the major acquisitions in your industry and map out how have these changed the dynamics of the industry? 1. Examine the power, vigor, and competence of complementors. The health care industry has experienced many changes in the past few decades. Costs have risen dramatically over the past few decades, giving rise to health management organizations that operate hospitals based on profitability. In order to maintain profitability, many health care providers and institutions have downsized their work force. As a result, the quality of patient care has become an important issue for both health care providers and patients. 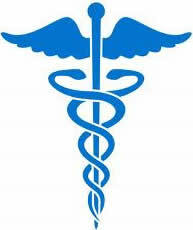 This paper will examine several changes in the modern health care industry. By discussing various aspects of this issue, it will demonstrate that many health care providers are focusing on profits and getting by with fewer resources, rather than providing the best possible care for patients. Health Care in America for African Americans- Health Care in America for African Americans Research Paper discusses an example of an order placed on a health care policy, with specific questions that need to be addressed. Paper Masters writes custom research papers on Health Care Industry and explore an example of an order of a research paper on the health care industry with focus on the global segment, competitive forces, and alliances.